Having a bun in the oven can stress any parent out. From preventing small eager fingers pressing on hot oven doors, to stopping curious young cooks toying with stovetop controls, we all need to know how to create a child safe kitchen. Thankfully, many appliance companies aren’t kidding with their child-friendly features. When it comes to ovens, multi-layer panels appear to be a common way brands try to achieve cool-to-touch doors. 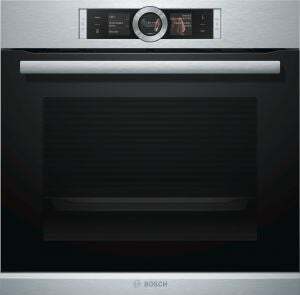 Alternatively, items like the Bosch Serie 8 Built-in Oven more uniquely include child safety locks and automatic switch-off functions to avoid accidents caused by children accidentally operating the oven. Think an oven door with added multi-layer panels is usually safe enough to touch? Smeg isn’t so sure and claims radiant heat will still manage to cook through. That’s why the company included a 22-blade tangential fan as part of its Cool Door design. Shutting down the myth around the apparent effectiveness of multi-layer panels, Smeg states the fan ensures each ‘Cool Door’ is safe to touch as it creates a ‘veil of cool air which buffers the radiant heat coming from inside the oven’. This is apparently achieved by pushing air through the four panes of glass in Smeg’s pyrolytic models, or the three panes in brand’s the non-pyrolytic options. Smeg may sell an aesthetically-pleasing range of classic-style appliances, but it doesn’t mean you can’t enjoy modern safety features with the wide selection of products available. Items like the Smeg 60cm Victoria Thermoseal Pyrolytic Double Oven are said to be designed to keep the kitchen at a comfortable temperature with features like the Cool Door and its apparently unique fan. Some other family-friendly functions available in the true family size oven include a child safety lock, controls lock, and a thermal protection system. Avoid snappy oven doors from injuring little fingers with products like the Smeg 60cm Classic Compact Combi-Steam Oven. Soft Close doors are a common feature in ovens, as well as other kitchen appliances such as dishwashers. These typically close slower than other systems, and avoid fully closing if there is something preventing the drawer or door from doing so. From toy ovens to real ovens, kids can’t help but bake a mess. But according to Miele, at least features like the ‘cooling system with cool front’ can help you rest assured your child’s cupcake-covered hands will be safe from potential burns and other possible dangers that can cause an even bigger fuss. From oven doors to oven handles and controls, it all apparently stays cool due to the cooling system in Miele appliances. 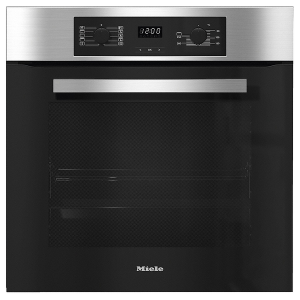 Miele ovens like the Miele H 2265 B CleanSteel 60cm Wide Oven contain multi-layer panels claimed to insulate the oven door and keep outside temperature low. The function is stated to ensure each side of the appliance – even the surfaces of nearby cabinets – remain ‘relatively cool’ to protect against burns. 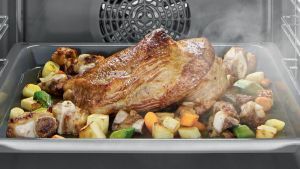 The CleanSteel design, along with the PerfectClean finish, is also said to make the non-pyrolytic oven easy to clean and leave fewer fingerprints. The automatic system lock in products like the Miele H 6890 BP oven takes care of the grownups, as well as the kiddies. It’s designed to automatically switch the appliance off once the maximum operating time has passed to ensure the oven stops running when it should. 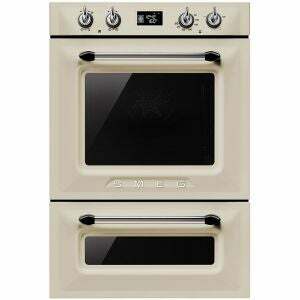 However, this particular electric wall oven is the most expensive item in the range. But keep in mind that the higher price tag is to be expected as the appliance is 90cm wide and more spacious than the 60cm-wide alternatives. Forget about other areas in the house, the kitchen is where the real magic happens. But sometimes two cooks is one too many, and it doesn’t take long before the room temperature rises to an uncomfortable high and creates a couple of hangry hotheads. That’s why Fisher & Paykel added the CoolTouch door to its models. The triple glazing and cooling system built into each door is said to protect people from the heat that permeates not just through the appliance itself, but also onto surrounding cabinetry. Need to feed a few ‘hangry’ monsters? The Fisher & Paykel OB60SD9PX1 is a true family size oven with 72L worth of usable space. The electric appliance also includes a pyrolytic self-cleaning function to break down food residue and help make cleaning easier and quicker. Some safety functions include non-tip shelves, soft open and close door, control panel key lock and a catalytic venting system. The sliding shelves are also fully extendable, so you can safely remove hot dishes. Does having a double oven spell for double trouble? 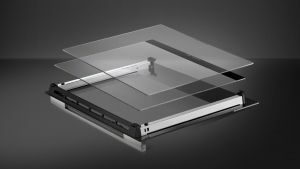 The Fisher & Paykel OB76DDEPX3 contains two pyrolytic built-in ovens with 102L usable capacity, and is currently the most expensive item in the range. The Fisher & Paykel 76cm Electric Built-In Double Oven comes with the very same pyrolytic self-cleaning function found in the brand’s other models, as well as quadruple glazed CoolTouch doors to apparently improve safety and energy efficiency. Westinghouse doesn’t just stop at ovens when creating kid-safe appliances. The family friendly brand also incorporates safety features like its FamilySafe trivets on other kitchen essentials, including the Westinghouse WHG644SA 60cm Natural Gas Cooktop. Whether it’s avoiding burns with popular cool touch doors, or creating child locks to prevent small accidents turning into serious household hazards, Westinghouse looks at the unique risks parents with young children face and create specific features targeting these issues. 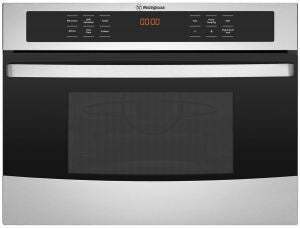 The Westinghouse WMB4425SA is a stainless steel combination microwave oven designed to offer versatility in homes that don’t need an overly spacious or more complicated appliance. Filled with 44L total capacity, the unit contains a FamilySafe child lock to prevent curious young cooks from accidentally operating the oven. 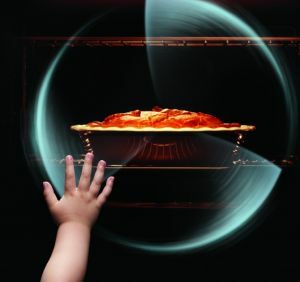 When it comes to safety, Westinghouse join brands like Smeg to target the cool-to-touch oven door trend. Products like Westinghouse WVE916SB feature FamilySafe Doors, the company’s own take on multi-layer glazed oven doors. The triple glazed oven door glass of the FamilySize Oven is said to ensure the front of the appliance is ‘cooler and safer for families with young children’. Bosch’s approach to cooking up a kid-friendly environment combines a few of the common safety features similarly seen in brands like Miele and Bosch. Many of the ovens typically contain functions such as child lock and a cooling fan. 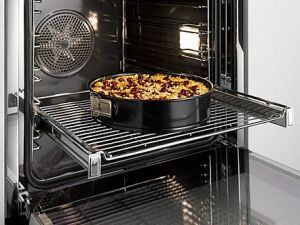 Programmes like the PerfectBake, PerfectRoast and Pyrolytic self-cleaning might satisfy some tastebuds, but safety functions such as a residual heat indicator and quadruple glazed CoolTouch door might take the cake for many Aussie families. Other features include a child lock, automatic safety switch, door contact switch, electronic door lock, and a cooling fan. 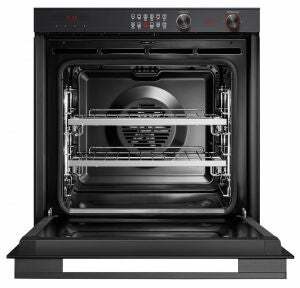 The Bosch Serie 8 Built-in Oven has 71L of usable capacity and offers 13 heating methods. Australia is famous for its warm weather, with heatwaves in some areas soaring above 45° C. But it looks like the door of the Bosch VBC5540S0 doesn’t even get that hot, which apparently reaches a maximum of 40° C. Other safety features include the common triple glazed door and child lock function, along with an automatic safety switch off function and door contact switch. Can’t wait until the freshly baked cookies reach the kitchen bench to cool, let alone stay away from the cookie jar? We hope this guide can help you find the best and safest oven for your family. Don’t forget Canstar Blue has plenty of ratings and reviews on a variety of ovens – just hit the link below for more.